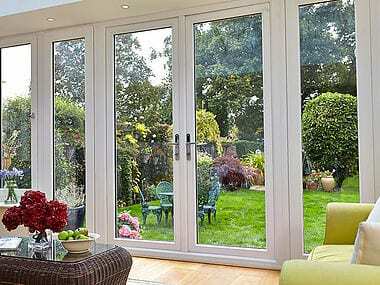 High quality french doors in Kew, Richmond, Twickenham and across South West London. 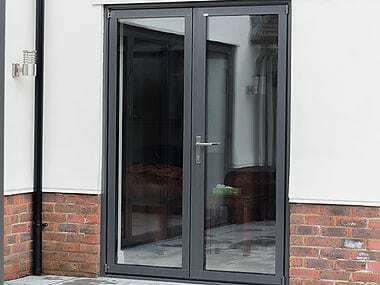 French doors offer an attractive alternative to conventional sliding patio doors. A set of french doors adds a charming, quintessential country garden touch to your home. The extensive opening allows unrestricted access, whilst maximising on light and ventilation. They serve as a practical entry into your conservatory, garden or patio and are perfect for prolonging summer evenings by bringing the outside in when the sun goes down. 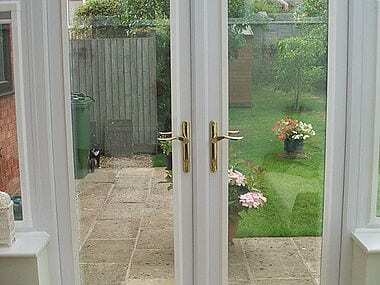 French doors are perfect for internal and external use. We offer a variety of colours, from traditional white and light oak, not forgetting the very realistic woodgrain rosewood finish. To the uber fashionable chartwell green and vintage cream but maybe you're more of a trendsetter than a follower then go contemporary and modern with grey or black.